Algonquin Provincial Park is a provincial park located between Georgian Bay and the Ottawa River in Central Ontario, Canada, mostly within the Unorganized South Part of Nipissing District. 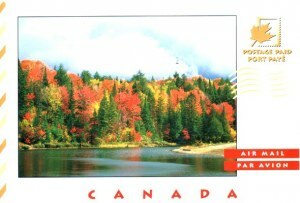 Established in 1893, it is the oldest provincial park in Canada. Additions since its creation have increased the park to its current size of about 7,653 square kilometres. For comparison purposes, this is about one and a half times the size of Prince Edward Island and about a quarter of the size ofBelgium.